In an attempt to save some money, I have been trying to go through our cupboard and make meals out of what we already have (thanks for the tip, Lisa!). It's actually been a fun little challenge so far. 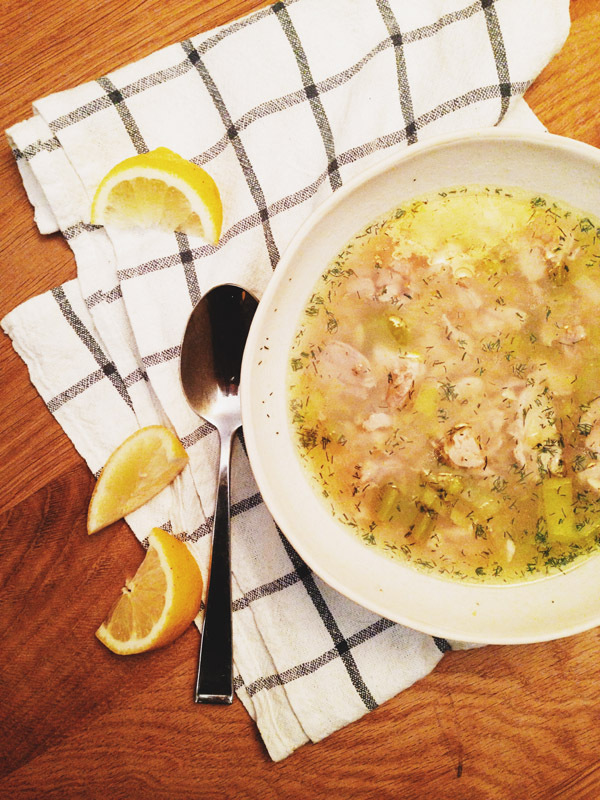 I mean, sometimes it's doctored up ramen for dinner, but other times it's something refreshingly new like this Lemony Chicken and Orzo Soup. The only thing I needed to get were the leeks. After a rave review from Nick and my mom (who typically doesn't like lemony things), I've added it to my recipe book.